I found some great rescue stories today. First, a pup with a heart defect goes home with the girl who raised the money to get her a life-saving surgery. In a story both heart-breaking and heart-warming, a puppy was saved from a trailer fire that left a family homeless. A dog stranded on a ledge in the woods was rescued after being missing several days. A puppy abused and left stranded in a canal in Florida was rescued and is now on the road to recovery. Here at the Fort, I caught a great clip of Golden Retriever Mollie and Black Lab Emily tearing it up. Enjoy this nice, sunny weekend on the way! Today we welcomed an Australian Shepherd/Catahoula Leopard dog mix to our pack here at the Fort. Charly is almost 2 years old, and his current parents got him from Auburn Rescue about 10 months ago. In here with the dogs, Charly was more interested in playing than anything else--including introducing himself! His gung-ho attitude was quite endearing, and he will learn to speak better "Dog" in time and with exposure to others. 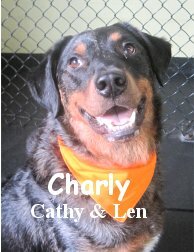 Charly was a bundle of furry energy, and coming to daycare here at the Fort will be a great chance for him to get some exercise and mental stimulation. We hope to have him back soon, so that we can see him learn and grow. We did have an assessment this morning but unfortunately the beautiful looking dog didn't cut the mustard in the socialization department... Yikes! 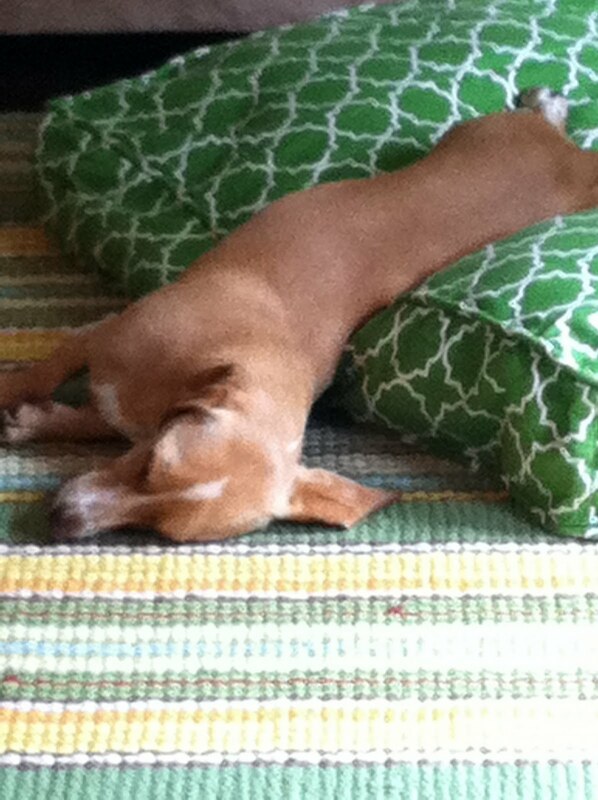 At any rate, it's rare for dogs not to make it past their assessment day but it does happen. We don't mess around, we don't jepordize the packs safety. Sometimes the dog is only here for a matter of minutes before we say "No Way!". I don't usually mention a dog not passing but wanted to today since, ironically, I just wrote this article the other day. On to some happier stuff. Here is a good clip of the Big Roll Late in the AM... As you can see, most are winding down from the ruckus that is the "early morning play" but a handful of pups are still going at it. In the Medium Roll, Phoebe was our top sprinter today. Dang, this dog can move and loves "chase me" games! Miller's owners (they also own Miss Paisley) sent me an outstanding photo of Mr.Miller. Here he is after a busy day of playing hard at The Fort. Hahaha Awesome! That is what we like to see, keep up the good work buddy! :) Thanks again for the photo. "I'm sorry, but your dog can not attend daycare here anymore"
We get to know our daycare dogs very well. How much play they can handle, what type of play they can engage in, what other dogs they can play with, whether or not they are toy possessive, have prey drive, etc… The list goes on and on. We run a tight ship around here AKA our day is very structured, very routine for our daycare dogs. Some may think we have too many rules but this enables us to keep the utmost level of safety for your pets while they attend. The assessment process is our first safety measure. It allows us to determine if a dog is suitable for socialization with the pack. Many folks don't want to fill out a five page application if they know their dog won't pass an assessment. Many people just pop-in or call up the day of thinking they can drop off any old dog at anytime. Fortunately that is not how it works here. Most people know their dog well. When a dog is here with us, it tells no lies... Sometimes ratting out its owners. If someone isn't truthful on the application we usually know within a matter of minutes. We know if your dog has been socialized, whether or not it has separation anxiety, what caused it, etc… There are exceptions to this but they are rare. In the end, dogs are animals, accidents can happen and unpredictability rears its head every so often. However, with our wonderful system in place we undoubtedly decrease the possibility of incidents/injuries. We also tell people that our assessment process is ongoing. Just because a dog got along ok one day, for four hours, doesn't mean it will workout indefinitely. Life happens, people’s situations change, often times our animals will act out in various ways when life-changes occur. We do our best to keep the lines of communication open with our customers and our employees. We keep customers informed and updated on any issues we may be having with their pet. Nobody likes surprises in the negative category. Nine times out of ten, a customer will know that their dog is on its way out unless we can get its issues resolved. To stay connected with our employees, we chat with each of them before their shift to get them up to date on the days events. We also have communication boards throughout the facility with notes to over emphasis certain information. Sometimes we can get a negative situation under control, especially if the customer is upfront, honest and willing to work with us (we highly respect that). Other times we have to say it, what I personally dread. “I'm sorry, but your dog can not attend daycare here anymore". We never want or mean to hurt anyone’s feelings but sometimes it must be done, as stressful and awkward as it is. It is all for the safety of the animals. It is always all about the dogs here at Fort Fido and we'd rather head a sticky situation off at the pass then have to send home hurt pooches and vet bills. Talk about awkward! P.S. The most uncomfortable "Giving of The Boot" I ever had, was telling a kind, frequent and loyal customer of several years that their dog could no longer attend. Folks get upset, I fully understand because I do as well. Many do not realize that we have agonized over the decision for quite sometime before it is made and that it is final once made. It's not a fun task, nor does it feel good for us or our business in that moment. I reiterate, it is for the good of the whole. New Poodle Boover took a liking to Mr. Koji, I believe the feeling was mutual. Bella (Tod) and puppin Zeus were at it again today. The two are becoming best buddies. In the Big Roll, young Berner Gem was really having a blast. Here she is tumbling around with Fort Fido regular Denali. Stay dry, I hope that summer gets back here in a jif! Here are a couple of clips from this sunny Saturday here at the Fort! Here are Emily and Gem tearing it up, to be joined by Buddah toward the end. In this clip, Bella, Buddah, Gem, Emily, and Chloe the Weimaraner, are all enjoying a romp. Enjoy that sunshine, but don't let too much of the heat get to your pup! 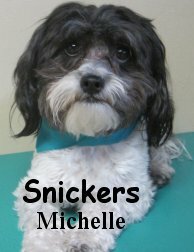 We had another assessment this morning, an excitable little Shih Tzu named Snickers. He went with the little dogs, of course, and he did just fine. Meeting so many dogs at once without his mom nearby was a new experience for him, and he was a bit nervous. Though he didn't bust out and play, he was interested in the pack. He sniffed around, and tried to get a glimpse of the lay of the land here at the Fort. In time and with a consistent schedule, he will only have more fun! We'll be seeing him again next week, and hopefully we can make him feel at home. Enjoy the weekend, it's gonna be a warm one! = Boover, what a name! Boover was in for his assessment today. 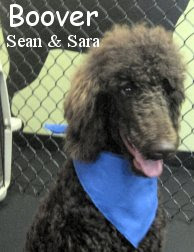 He is a sharp looking, nine month old, thirty-five pound, chocolate colored, Standard Poodle. Boover's owner said his name came from the combination of Hoover (The Vacuum) and Boozer hahaha. We tried Boover in the Medium Roll (he could probably handle the Big Roll as well) and he really excelled, especially since he has been to doggie daycare in the past. Boover socialized with a handful of different dogs, he really enjoyed running around with the pack. He is welcome at The Fort anytime. Wonderful job this morning Boover! Going to the Dog Park? Make sure you're prepared! Four Fun Clips! ! ! ! One from the Little Roll featuring new pups Chloe and Pearl. We are seeing more and more out of these two after each visit. Although not captured on film, Chloe and Pearl did do some play-bows today, that is always a very good sign. Quite sure that these two frisky fillies will be ruff-housing with the best of them soon. Our other three clips are from the Medium Roll. The first one is a great cross-section of the fun-loving and playful dogs that we had in there today. Another from the Medium side, Emily, Libby and Marley tearing it up together! Last but not least, puppy Zeus had his paws full today, battling Golden Retriever Mollie and Emily from both ends. Haha, it's gotta be the clip of the day. Pearl was in bright and early this morning for her assessment. She is a super-adorable, three month old, two and a half pound, white and caramel colored Maltipoo. Pearl headed upstairs to the Little Roll where we slowly introduced her to the other dogs. She wasn't too sure about the whole scenario but did explore the area a little bit. 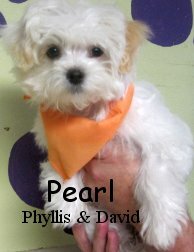 Pearl is a young dog that should began to branch out once she gets some more socialization and consistency under her belt. She is going to start attending Fort Fido two days a week and will be in our group training class in September. Way to go Pearl, we imagine you'll be running wild with the pack in no time! Have a nice sun-filled day! As you know, the Tacoma Highland Games were last month. I happened to find some neat clips on YouTube featuring none other than Grant (and the Clan Gordon Pipe Band, of course!). If I ever come up with a "film-able" hobby, I'll be sure to share. Knitting would make a pretty boring movie, though! Hah hah. Next Saturday is the Annual Tacoma Dog-A-Thon, a walk to raise money for homeless pets. It's great fun for a great cause, so make certain that you check it out! We'll see you back at the Fort on Monday! Everybody enjoy what's left of the weekend. I found a fair bit of doggie-news today, and thought I should share it with you all! Fallen soldier's dog is returned to his family. How to stay cool, and also making sure your pup avoids heatstroke. Dog yoga or "Doga" is a new craze over in Hong Kong! Even our four-legged-friends need a little inner peace! Pet owners are happier and healthier than others. Here's a sweet little clip of the Medium Roll from today! Peaches (the Poodle), Sofee (a French Bugon), and Phoebe (a Vizsla) were just adorable all playing together. Two from the Big Roll. Abby and Stella are two frequent visitors of The Fort. They are best buddies, knowing how to play hard and fast... Sometimes we have to step in and slow them down a bit ;) . These two swell dogs deffinitely get in a full-body workout everyday they are here. Two young shepherds, Jake and Ziva, had a bit of a love-affair today. It's neat to see the two playing together. Osbourne ends this one with a wind-sprint lol. Two from our Medium Roll as well. Miss Bella (check her gorgeous photo out on another website) and young rebel-rouser Zeus demonstrated their fair and balanced play early in the afternoon. Meanwhile... Emily, Gibson and Jaeger were a surprising trio that got along well. Creatures at the beach: What might you and your dog encounter? Welcome Chloe, she had her assessment today. 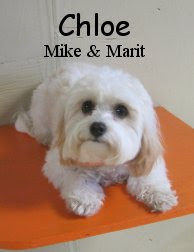 Chloe is a ten month old, nine pound, Cavachon. She is a darn cute little pup that wasn't too sure what to think of the little pack and was a bit shy. We think her curiosity and playful spirit will bring out the best of her in time. As she gets more comfortable with the other dogs she should truly thrive. Chloe's owners are excited and eager to learn new ways to better their pet, we really respect that, very cool! She is well on her way to becoming a well balanced member of the Fort Fido pack. Nice job Chloe! P.S. Louis's ma, Sandy, told me about this wonderful adoption event that is coming up later this month. If only I had the room for one of those speedy guys. Sandy used to have a rescue Greyhound named Grant, haha, funny! Meet Rocky, he is our latest addition to the Medium Roll, he had his assessment this morning and did well. Rocky is a four year old, 27 pound Pug. He really seemed to enjoy the company of other canine friends, meeting and greeting each new arrival as the pack increased. 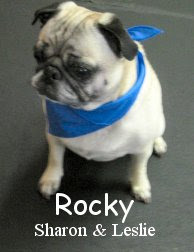 Rocky was full of life and had energy to burn! He is welcome anytime, we plan on seeing him again later this week. Way to go ROCK! P.S. Luther & Payton's owner sent me a cool Flyer on a very informative workshop that is coming up. It is called "Hiking with Your Dog" and will be held at It's A Dog's World Training & Agility Center. Follow this link for more information. Thanks Bif! Here are some pictures that Dakota's mom Michelle sent us. 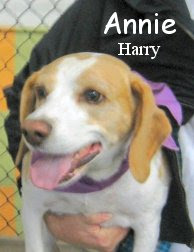 This morning Annie, a cute little tan Beagle, came in for her first day here at the Fort. While she hasn't busted out with all the moves just yet, she was a good greeter and enjoyed hanging out with the pack. There was definitely no trouble out of this little lady! She''ll be back again tomorrow to see the Saturday crew. Here's a clip of Annie being "courted" by Rat Terrier Koji. She almost began to play, but settled on just wagging her tail happily, enjoying the attention. Hopefully with time and consistency she comes a little further out of her shell! Here are some clips from the action today. In the first one, you can see the German Shepherd Ziva tearing it up with Terrier Marty. Stella the Boxer also flies through with her buddy Truman the Labrador. Next is an action packed clip from the medium/small combo roll! Beija, a little Boston Terrier, is tearing it up with Jack, a Boxer-Lab mix, in the foreground while baby Boxer Zeus and Shitzu Buddy. At the end, we see Husky-mix Niko playing with his buddy Emily the Labrador. If you're looking for something to do this weekend, try checking out the Pet Expo at the Puyallup Fairgrounds. It's going to be the world's largest pet and pet product expo, it should be a blast! In the news, a city in Phoenix is considering using dog poop digesters as a green energy source. If you ever considered the idea yourself, there are commercially available digesters that you can get and use at home to create a little energy, and put that waste to use! A dog missing seven years has finally been reunited with her owner. Here's hoping that the sun comes back out! I hope you had a great 4th of July weekend and have been enjoying this precious weather we so deserve! This morning we welcomed Copper to The Fort for his assessment. 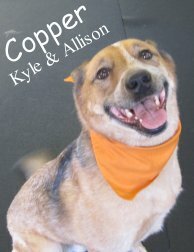 He is a dashing, four year old, forty-five pound, orange, black and white Australian Cattle Dog (Red Healer). Copper spent his time in the Big Roll and did very well. He seems like a dog that would do just fine with the Big or Med pack. Being a Red Healer, Copper is naturally strong, agile and intelligent. Unfortunately, he didn't play a whole lot today (first day sessions go like that 50% of the time) but he did speak good dog and seemed quite comfortable around the pack. We all have a feeling that he will most definitely "Bust Out" once he gets a few more visits under his belt. Have a great BBQin day! This morning I spotted a loose dog running down 27th Street, right in front of the Fort! I watched as a couple cars had to stop for her as she crossed the road, and sprang into action. I fished a treat out of the bowl and ran outside, then I let out a loud whistle. The pup happily bounded over to say hello, and that is how I met Peaches the American Staffordshire Terrier mix. She was fully tagged, with her name, phone number, and rabies tag. I was able to keep her in a crate for a few minutes while I called her owner and waited for him to come pick her up. Good thing he worked nearby! Having a collar saved Lady from the dogcatcher! I don't know what I would have done if she hadn't had those tags. Though this wasn't quite so epic as long-lost dogs rediscovered by a micro-chip scan, it was an experience that reminded me just how important it is to make certain that (firstly) your dog is well-contained and (secondly) that they are always wearing their tags just in case. Especially right after the fireworks, when even normally relaxed dogs can become spooked, it is important to be safe. Thankfully, we should be done with fireworks until the New Year! With summer coming up, the question of whether it is legal to have a dog ride in the back of your truck has come up a time or two. The only restriction is that the animal not be capable of falling, jumping, or being thrown from the vehicle. I guess if common sense were really so common, it wouldn't have a special name! The good weather has also led to more outdoor time with Fido, and (sadly) more irresponsible owners not doing their part to keep our parks and sidewalks tidy. In an effort to remind people to pick up after their pets, group Puget Sound Starts Here has created a funny music video (which you can see here on KING5's website). P.S. While looking for dog-related news this morning, I noticed this article about a different sort of dog entirely! Rainier's parent's, Joyce and Colin, sent us these cute pictures of Rainier getting ready to celebrate the 4th of July! In case your pooch isn't quite as ready for the explosions on Monday, here are some tips for dealing with firework anxiety. For today's news, here is a clip of Marley tearing it up with friends Emily and McGee. Gemma and Bella try to get in on the action a little bit as well. Everybody have fun and stay safe! Birthday Girl In Da House! Wishing a very Happy Birthday to Lila! Lila is a very admirable dog that has been attending Fort Fido for many moons inside the Medium Roll. Lila's sister Blue also comes to The Fort frequently (she's in the Big Roll). 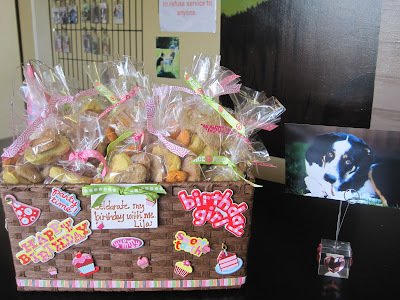 Their owner Darcy brought in treats for all the dogs to share in celebration of her second birthday, too cool! Please do take a treat bag for your pooch on the way out. Enjoy your sunny-long weekend! We are open tomorrow (9am - 6pm) but closed on Monday the fourth. Have a happy & safe Independence Day, we'll see y'all back on Tuesday July fifth. P.S. Will end this one with a cute clip from the A.M. of Schnauzer Brothers Oskar and Otto playing.